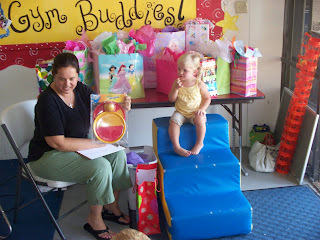 My little Reesey turned three in August. Yes, I said August...don't judge. 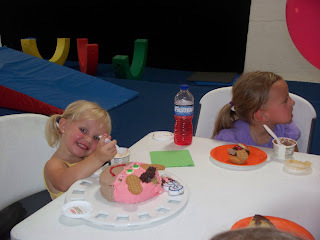 We had a fun party at a local kid-sized gym. It was a blast! I think the kids had a lot of fun. 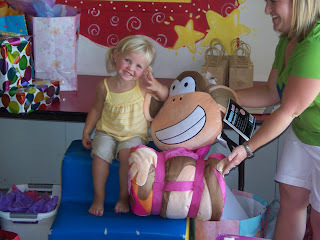 When I asked Reese what she wanted for her birthday, all she would ever tell me was "A big dragon and a little monkey." Your guess is as good as mine. 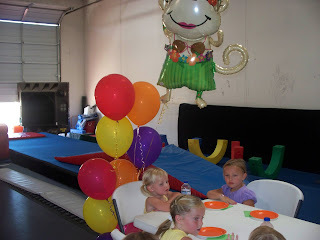 So, we had a "monkey" themed party. 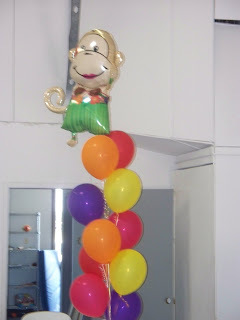 The only thing I could find decor-wise was a monkey mylar balloon. 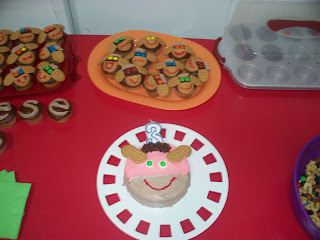 I made some monkey cupcakes, and there you have it. It was a great day! 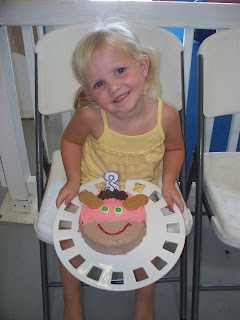 She wanted her cake to be a pink monkey. 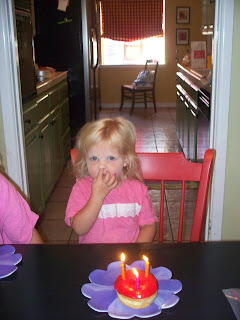 Jessilyn made her practice blowing out her candle on her birthday donut. She wasn't too into it...obviously. Going for a ride on her new scooter. Every time you post something it makes me so happy! I love your girls so much! You really need to post more, I know you must have something interesting in your life that we need to hear about. Planning on getting current tonight/tomorrow....we'll see~I'm also working on the girls' bathroom. She had me at "big dragon and little monkey." How adorable is that? 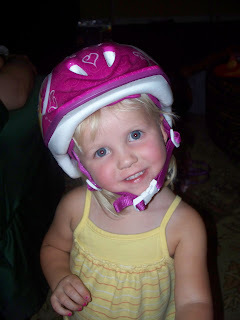 She is so, so cute! P.S. I'm jealous that she got a donut. We only have Dunkin Donuts here, and it's just not cutting it for me! 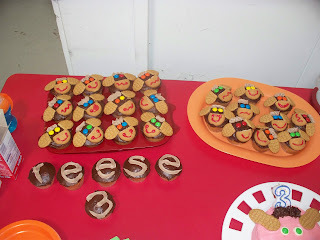 Those cupcakes are ADORABLE! 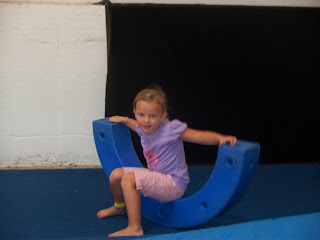 Quite an imagination for such a little girl! !